Born in Richmond Hill, NY, on December 19, 1913, Gould was recognized early as a child prodigy. At the age of six he had his first composition published. He studied at the Institure of Musical Art - Juilliard - but his most important teachers were Abby Whiteside and Vincent Jones. Gould attained national prominence through his work in radio. During the 1940’s Could appeared on the Creat Blanca Carnival program and The Chrysler Hour, reaching an audience of millions. His music was commissioned by symphony orchestreas throught the United, the Library of Congress, Lincoln Center and the New York City Ballet; his compositions spanned Broadway scores, film and TV music and ballet. His style integrated jazz, blues, gospel and folk elements into and instantly recognizable AMerican sound. As a conductor, Gould led all major American rochestras as well as those of Canada, Mexico, Europe, Japan and Australia. In 1983, he received the American Symphony Orchestra League’s Gold Baton Award, and in 1966 he won the Grammy Award for his recording of Ives’ First Symphony with the Chicago Symphony Orchestra. 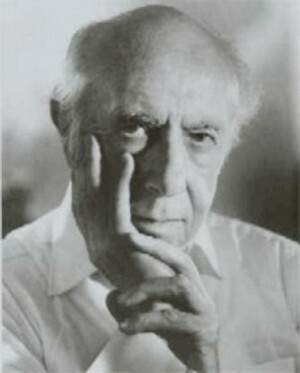 Morton Gould died in 1996. He was commissioned to be the first composer to write a new work for two pianos for the first International Two Piano Competition in 1987; it is called, simply: “Two Pianos”.